Spring has officially arrived! And many of us have been venturing outside to do anything after being captive to our homes this winter. I’ve seen quite a few of those early blooming plants getting bigger by the day, and some unsightly snow mold *shutter*. So, with Spring starting off it’s always nice to get a refresher on what to do with the lawn. Upon first sight in the spring, many lawns look less than perfect. Similar to last spring, many of the same culprits were at work over winter destroying or at least blighting turf . Traditionally, we’re told that gray snow mold becomes problematic in regions when snow cover is in place for three months or more, that’s you Southwest Michigan! In addition to raking up some debris and generally cleaning up the lawn, another item to check off your list would be mower maintenance. If you didn’t sharpen the mower blade at the end of last year prior to tucking the mower safely away in the garage for its long winter hibernation, now is the time to sharpen blades. You might even want to consider a mower tune-up. Scheduling an appointment now will result in quicker service turnaround than the first couple weeks when everyone starts mowing and realizes they have a problem. Planning ahead always pays off. Summer annual grasses such as crabgrass require proper soil temperature and moisture to germinate and establish. 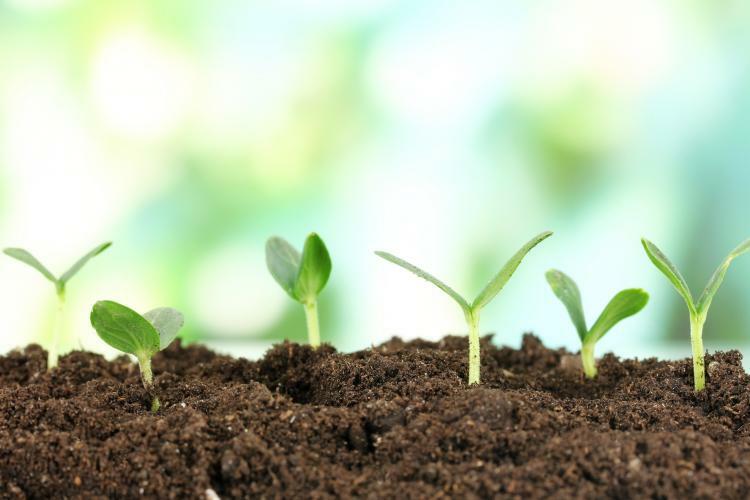 Eighty percent of germination occurs when the 0- to 2-inch depth soil temperature is consistently reaching 60-70 degrees Fahrenheit. Some consistency in the weather will help move those temperatures to where they need to be.